Amazon Aurora is a relational database service that combines the speed and availability of high-end commercial databases with the simplicity and cost-effectiveness of open source databases. The MySQL-compatible edition of Aurora delivers up to 5X the throughput of standard MySQL running on the same hardware, and enables existing MySQL applications and tools to run without requiring modification. Testing on standard benchmarks such as SysBench have shown up to a 5x increase in throughput performance over stock MySQL on similar hardware. Amazon Aurora uses a variety of software and hardware techniques to ensure the database engine is able to fully leverage available compute, memory and networking. I/O operations use distributed systems techniques such as quorums to improve performance consistency. Increase read throughput to support high-volume application requests by creating up to 15 database Aurora replicas. Amazon Aurora Replicas share the same underlying storage as the source instance, lowering costs and avoiding the need to perform writes at the replica nodes. This frees up more processing power to serve read requests and reduces the replica lag time – often down to single digit milliseconds. Aurora provides a reader endpoint so the application can connect without having to keep track of replicas as they are added and removed. Aurora also supports auto-scaling, where it automatically adds and removes replicas in response to changes in performance metrics that you specify. Aurora supports cross-region read replicas. Cross-region replicas provide fast local reads to your users, and each region can have an additional 15 Aurora replicas to further scale local reads. You can choose between Global Database, which provides the best replication performance, and traditional binlog-based replication. You can also set up your own binlog replication with external MySQL databases. Amazon Aurora Serverless is an on-demand, auto-scaling configuration for Aurora where the database will automatically start-up, shut down, and scale up or down capacity based on your application's needs. Aurora Serverless enables you to run your database in the cloud without managing any database instances. Amazon Aurora Parallel Query provides faster analytical queries over your current data. It can speed up queries by up to 2 orders of magnitude, while maintaining high throughput for your core transaction workload. By pushing query processing down to the Aurora storage layer, it gains a large amount of computing power while reducing newtwork traffic. Use Parallel Query to run transactional and analytical workloads alongside each other in the same Aurora database. Amazon RDS continuously monitors the health of your Amazon Aurora database and underlying EC2 instance. In the event of database failure, Amazon RDS will automatically restart the database and associated processes. Amazon Aurora does not require crash recovery replay of database redo logs, greatly reducing restart times. It also isolates the database buffer cache from database processes, allowing the cache to survive a database restart. For globally distributed applications you can use Global Database, where a single Aurora database can span multiple AWS regions to enable fast local reads and quick disaster recovery. Global Database uses storage-based replication to replicate a database across multiple AWS Regions, with typical latency of less than 1 second. You can use a secondary region as a backup option in case you need to recover quickly from a regional degradation or outage. A database in a secondary region can be promoted to full read/write capabilities in less than 1 minute. Each 10GB chunk of your database volume is replicated six ways, across three Availability Zones. Amazon Aurora storage is fault-tolerant, transparently handling the loss of up to two copies of data without affecting database write availability and up to three copies without affecting read availability. Amazon Aurora storage is also self-healing; data blocks and disks are continuously scanned for errors and replaced automatically. Backtrack lets you quickly move a database to a prior point in time without needing to restore data from a backup. This lets you quickly recover from user errors, such as dropping the wrong table or deleting the wrong row. When you enable Backtrack, Aurora will retain data records for the specified Backtrack duration. For example, you could set up Backtrack to allow you to move your database up to 72 hours back. Backtrack completes in seconds, even for large databases, because no data records need to be copied. You can go backards and forwards to find the point just before the error occurred. Backtrack is also useful for development & test, particularly in situations where your test deletes or otherwise invalidates the data. Simply backtrack to the original database state, and you're ready for another test run. You can create a script that calls Backtrack via an API and then runs the test, for simple integration into your test framework. Amazon Aurora allows you to log database events with minimal impact on database performance. Logs can later be analyzed for database management, security, governance, regulatory compliance and other purposes. You can also monitor activity by sending audit logs to Amazon CloudWatch. Amazon Aurora will keep your database up-to-date with the latest patches. You can control if and when your instance is patched via DB Engine Version Management. Aurora uses zero-downtime patching when possible: if a suitable time window appears, the instance is updated in place, application sessions are preserved and the database engine restarts while the patch is in progress, leading to only a transient (5 second or so) drop in throughput. Amazon Aurora supports quick, efficient cloning operations, where entire multi-terabyte database clusters can be cloned in minutes. Cloning is useful for a number of purposes including application development, testing, database updates, and running analytical queries. Immediate availability of data can significantly accelerate your software evelopment and upgrade projects, and make analytics more accurate. Amazon Aurora combines enterprise-grade security, performance, high availability and durability with the low cost and ease of use of MySQL. This makes it an good migration target when moving workloads from expensive commercial databases to AWS. 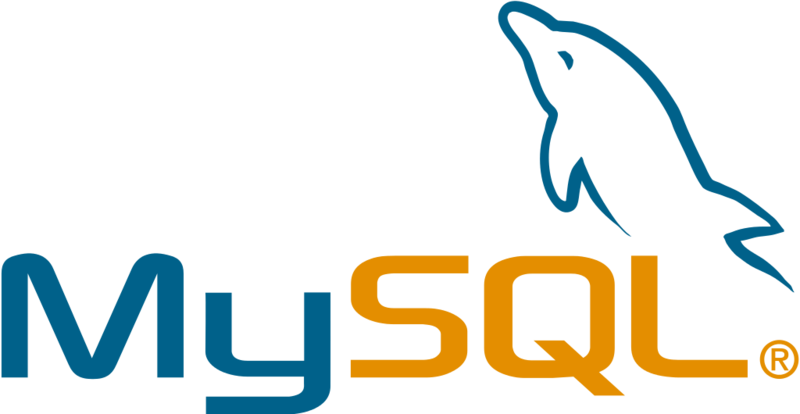 The capabilities of MySQL make it an optimal database for a wide range of database workloads, from simple transactional applications to complex OLTP and OLAP workloads with complicated SQL and stored procedures. Standard MySQL import and export tools work with Amazon Aurora. You can also easily create a new Amazon Aurora database from an Amazon RDS for MySQL DB Snapshot. Migration operations based on DB Snapshots typically complete in under an hour, but will vary based on the amount and format of data being migrated. You can also set up binlog-based replication between an Aurora MySQL database and an external MySQL database running inside or ourside of AWS.